Tuve la oportunidad de ver a David en Los Angeles, hace poco más de un año, en su gira por Norteamérica, viaje de CDMX sólo para verle en vivo y en verdad fue algo increíble. Vale la pena comprar el Set de Blu-ray con CD. Mi hija de 13 años me acompaño a ver el film del Concierto en Pompeii, y le encantó. Este album será una gran pieza en mi colección. I just watched this What an epic event! The dound the music- incredible!I just ordered one for a friend! I had the pleasure of seeing David in Vienna a week before this concert. I wasn't able to change my flight so I couldn't make the show in Pompeii. This Bluray/CD combo is fantastic! A terrific show and an excellent reproduction, professionally done. David really has a great Set List, fantastic musicians and singers, perfect Venue and an excellent video. This is a very high quality production and is well worth the price. 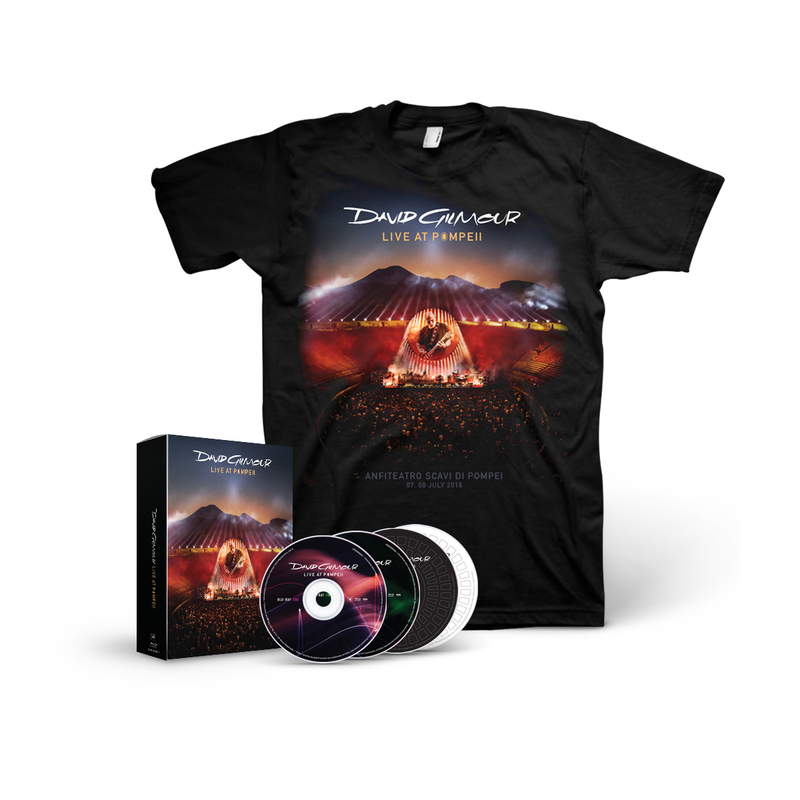 If you are a David Gilmour and/or Pink Floyd fan, you need this in your collection. He is the greatest of all time and I can't wait too receive my Live At Pompei-Deluxe Edition Box Set!!? ?